While “hot spots” are expected to continue smoldering for several days, investigators have already started looking into what caused the fire. 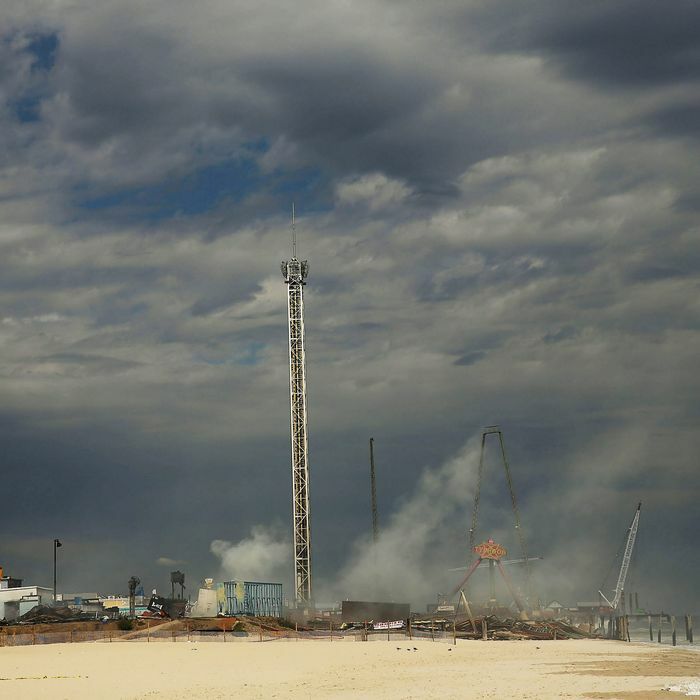 The area has been declared a crime scene, though foul play seems unlikely at this point: Seaside Heights Mayor Robert Matthies called the conditions “a combination of the worst elements at one time.” Meanwhile, Borough Administrator Bob Martucci estimated that it will cost at least $600,000 to rebuild the boardwalk itself. The price of replacing the individual businesses is still unknown, but it’s going to be high.